Ohio pest professionals … REPRESENT! 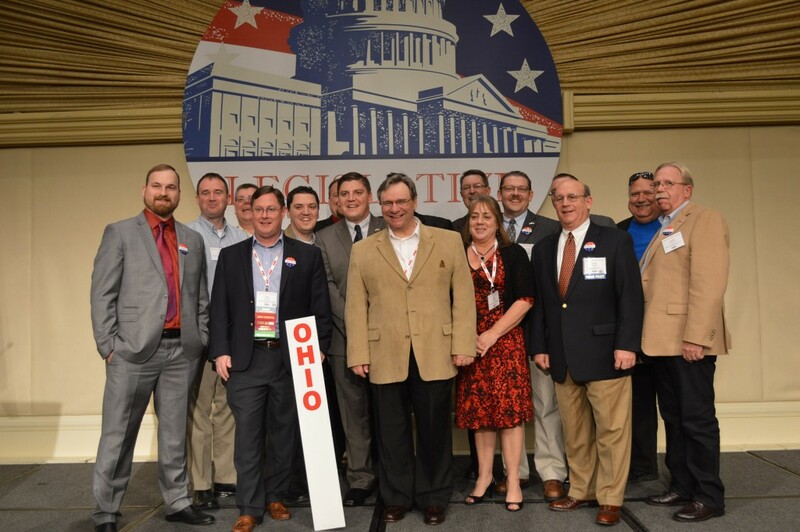 I was lucky enough to piggyback off a photo op, organized by another attendee at this week’s NPMA Legislative Day, and snap a shot of (Pest Management Professional‘s home state) Ohio’s pest management caucus shortly after they convened at the Ohio table in the Presidential Ballroom of the Capital Hilton in Washington D.C. The next morning many of these folks, as well as caucus members from the other states, would make the trek (or cab ride – it was a gray drizzly morning) up Capitol Hill to speak to their respective states’ Members of Congress about issues affecting the pest management industry. I’m unable to name all who appear in this photo, so I won’t try — but isn’t our state’s caucus an attractive group? Keen eyes will spot, PMP columnists, the Brothers Scherzinger, among the many Ohioans. To whoever it was who corralled this group: thanks! It was great to see our home state so strongly represented at this year’s event.